May, 2015 | Paradise Cove | Grapevine Southlake Dallas Fort Worth Weddings, Events, Parties, Galas, Banquets and more. The following are tips for brides by brides and florists alike. These wedding flower tips will assist you in avoiding the mistakes often made by brides regarding wedding flowers. These tips will assist in ensuring your wedding day in Paradise Cove’s outdoor wedding venues in Dallas is enjoyable for all. You want your guests to enjoy the beautiful scenery of your outdoor wedding venues in Dallas, don’t block the view with tall, large centerpieces. Let your florist know your likes and dislikes and what you expect, but have a little flexibility and be willing to accept substitutions. A florist will give you a beautiful bouquet and wedding arrangements even if you only provide them with the overall look, and color scheme you want. Give them room to utilize their creativity and you won’t be disappointed. Select a Florist before Booking your Outdoor Wedding Venues in Dallas. If you have an idea of the cost for your florist you will be able to budget your wedding better. Don’t forget to include a budget for flowers when planning your outdoor wedding venues in Dallas. Flowers come from all over the world, ordering them and the delivery can take six weeks or longer for them to arrive. If you have your heart set on a flower from Europe, ordering early can assure you will receive it. Ordering ahead of time may also save on cost. A picture is worth a thousand words. Carry pictures of what you like and don’t like to the florist. Mark each in bold ink, “Like” or “Don’t Like”, or use smiley faces. You may love a highly scented arrangement on each table, but guests with allergies will not. Reserve scented flowers for your bouquet and altar flowers. However, if the best man or the maid of honor has allergies, be considerate and reserve aromatic flowers for the bouquet. There is nothing romantic about a wedding ceremony punctuated with the frequent sneezes and runny noses of attendants. Brides often select flowers to match the bridesmaid dresses, resulting in disappointing photographs. For example, the bridesmaid in a pink gown with pink flowers will cause the flowers to disappear. Lilac or blue would be a better choice, for example. A number of flowers won’t stand up to even a few hours out of water. Talk to your florist about adding moisture tubes for susceptible blooms or select blooms that are tolerate of dry conditions. You will be busy in the last few days before the wedding. You don’t need the stress of creating dozens – or hundreds of DIY wedding flower arrangements. Hire a florist or recruit reliable friends to provide DIY arrangements. 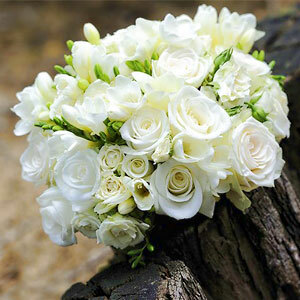 Hiring a florist at the last minute will be costlier than hiring one in the first place. Consider the size of your bouquet before ordering it. An oversized bouquet will hide a larger area of a beautiful wedding gown, and will be awkward and heavier to carry. Talk to your florist before ordering an oversized bouquet. Paradise Cove provides premiere luxury outdoor wedding venues in Dallas for your special day. Contact us for additional information and a personal tour, to book your wedding or for any questions you may have. We will show you our venue and discuss our various options with you. We hope you found our wedding flower tips useful. Deciding between an indoor or outdoor wedding ceremony can be a difficult decision. After all, both have their advantages and disadvantages. Careful consideration can determine the setting you prefer, while selecting a venue that will dedicate the time, resources, and great care to your wedding can make the decision easier. For those who definitely prefer their commitment to each other to be in a beautiful outdoor setting with waterfront weddings, Paradise Cove’s outdoor wedding venues in Dallas can provide the wedding you dream of. To help you in the decision, check out our list of the advantages and disadvantages of both indoor and outdoor wedding venues in Dallas. Indoor wedding venues provide a surety against weather issues. Selecting a venue that provides both indoor and outdoor options offers a distinct advantage. Paradise Cove offers several options, including a number of outdoor choices, or a wedding before our beautiful fireplace, safe from the elements. Furthermore, we schedule one wedding per day, providing you the assurance that if your outdoor wedding is interrupted by inclement weather, your wedding can be moved to shelter assuring your special day is taken care of. An indoor wedding enables you to take advantage of a wider range of decorations. In the outdoor setting, rain or wind can be detrimental to a number of decorative options. Lighting is less of an issue with indoor weddings, and offers a greater advantage for mood lighting. Indoor weddings and receptions allow greater control of the temperature and comfort you and your guests will experience. Indoor wedding events will have a maximum capacity. Fire codes and other regulated safety factors ensure this number is non-negotiable. Whether it is a backdrop of a romantic flower garden or a beautiful lake and blue sky, or a star studded night beneath a full moon, there is scarcely any comparison to a beautiful outdoor wedding. For a large number of young couples, outdoor weddings are what come to mind when we think of the perfect wedding venue. An additional advantage of outdoor weddings is the spectacular photography that outdoor lighting can provide for your special day. The selection of Paradise Cove’s outdoor wedding venues in Dallas reduces the need for decorations. Our outdoor weddings offers nature on a grand scale, from our gardens to the venerable oak tree, to one of our patios or the stone gazebo, with the backdrop of Lake Grapevine, the romance in your heart is reflected in the setting of Paradise Cove. Our outdoor wedding venues in Dallas is just a quick drive from the city center and includes numerous recreational activities for guests such as boating, camping, fishing, marinas, parks, and trails. The setting of our outdoor wedding venues in Dallas is breathtaking with mesmerizing views. 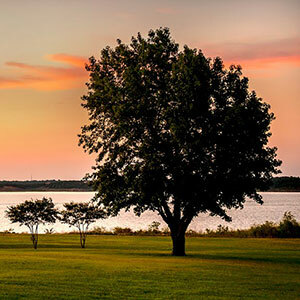 Our landscaped grounds overlook the waters of Lake Grapevine. Furthermore, Paradise Cove only hosts one wedding per day to ensure that your wishes are accommodated and our clients receive superb service. By personalizing your wedding day for you and only your wedding, when the weather threatens to ruin your wedding, we are able to provide an alternative with our indoor facility. In addition to your wedding ceremony, we also provide spectacular indoor receptions for you and your guests. Give us a call today and we will be more than happy to work with you to ensure that you will have a magical wedding to cherish whether you select an indoor wedding by our majestic fireplace, or a special ceremony beneath the Texas sky on the shore of Lake Grapevine in our outdoor wedding venues in Dallas. We specialize in outdoor waterfront weddings, and the professional staff of Paradise Cove can take care of all the details for you, allowing you to enjoy the moment one special memory at a time. A wedding photographer and videographer provide a record of your wedding, and every couple wants it to be special. The following photography tips can assist you in ensuring beautiful photographs for your outdoor wedding venues in Fort Worth. Schedule an in-person meeting: The way you envision your wedding may not be understood by the photographer. Ask to view examples of his/her work. Identify what you do or don’t like to assist the photographer in identifying with your vision. Tell the photographer what you would like: Let the photographer know you would like him/her to shoot from a specific angle that is flattering. Provide the photographer with an essentials list: Provide the photographer with a list of photographs you consider essential. For example, photos of yourself with your siblings. Bring samples of photographs you like for the in-person meeting. Request the photographer to check off each “must-have” from the list on your wedding day, and request multiple photographs to select from. Request he/she visit the outdoor wedding venues in Fort Worth prior to the wedding to be prepared to incorporate its features for your wedding photos. Add special shots: Be sure to add special requests to the essentials list, for example the bride and grooms rings on the preacher’s Bible, a photo of your dress and veil, or a photo of the site before guests arrive at the outdoor wedding venues in Fort Worth etc. Inform the photographer of special religious observations: All religions perform weddings slightly differently, and the photographer should be informed in advance. This is essential with any rules involved, such as if a specific portion of the wedding ceremony can’t be photographed. On the other hand, if you want the special events photographed ensure to add them to your essentials list. Include the dress or veil: If your dress or veil has a feature that you especially love, request photos to be included in the wedding pictures. For example, if the veil has an especially ornate crown, a close shot from above will preserve that feature in a photograph. Keep in mind, a portion of the photography can be shot before the wedding. Ensure your wedding attire is photographed: In addition to shots of your favorite feature, request your dress and veil to be photographed from every angle at the outdoor wedding venues in Fort Worth. Add black and white photography: Black and white photos provide an image like no other. Consider adding a few black and white photos to your wedding album. Include creative shots and angles: Request photos shot from a knee, circling the two of you during the first dance for photos with highly styled drama. A photo of your grooms face when he first sees you is a popular request. If your wedding is scheduled at sunset, take advantage of the setting sun as a backdrop in photos of your outdoor wedding venues in Fort Worth. Include elderly family members: While you may not have considered elderly grandparents, aunts and uncles in a photo shoot before, the photos will be appreciated as time goes on. Gently request family and guests to refrain from making their own photographs: Exuberant family and friends can interfere with the professional wedding photographer. Ask the him/her to take an occasional break to allow family members to make their own snapshots. This will prevent hurt feelings, and ensure your professional photos won’t suffer from stray flashes and persons walking in front of the camera. Photograph the reception tables before the wedding: This provides a professional record of the carefully dressed tables before guests arrive. Include your first dance, the father daughter dance, and mother son dance in the list of essential shots. Request photography before the wedding: Taking photographs before the wedding will cut down on the essential shots the photographer will need to focus on during the wedding. Photographs of family and friends photos can be shot before the wedding, for example. Request photos of favorite areas of the outdoor wedding venues in Fort Worth prior to the ceremony, freeing the photographer to concentrate on the ceremony and the reception afterward. If you request photos from a different location than the reception or outdoor wedding venues in Fort Worth, allot the time for travel and the shoot into the wedding schedule and the additional photographer’s fee. Don’t forget the children: Children can provide priceless memories (that you may have missed) during a wedding, such as the giggles and expressions of the flower girls and ring bearer when you kiss. Photographs provide memories than will last a lifetime and longer. You want them to be as perfect as the day itself. Prepare your essentials photo list for the photographer, retain a copy and include the agreement to utilize it in your contract. The staff of Paradise Cove’s outdoor wedding venues in Fort Worth can ensure every detail of the perfect wedding for your special day. Utilizing these photography tips can assist in ensuring a delightful record of the first day of the rest of your life. Paradise Cove at Lake Grapevine offers custom wedding design, and our staff coordinates each detail to ensure the perfect wedding for our clients. Our friendly, detail oriented staff will provide your ceremony with the magic of celebrating life and love, one special event at a time in our breathtaking outdoor wedding venues in Dallas . The wedding ceremony is a major milestone in our lives, and is where your new life begins. It is the first step into the future of all of your tomorrows together in the journey of love, life, and happiness. 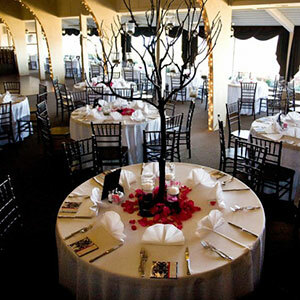 Our outdoor wedding venues in Dallas are located on the southern shore of beautiful Lake Grapevine. Paradise Cove will provide the breathtaking setting for you to be swept off your feet all over again with the wedding of your dreams. Every great love story deserves a storybook wedding, and that is what you will find at Paradise Cove amid the backdrop of Lake Grapevine. Marriage is a major milestone in our lives, and is often stressful in the planning. Our staff will handle the details to ensure this momentous day is memorable when you select Paradise Cove for your outdoor wedding venues in Dallas. Every step of the journey will be a reflection of who you are as an individual, and who you have become as a couple. Whether the wedding you are planning is a grand gala celebration or an intimate gathering of a few friends and family, each detail will be the expression of your personal style. We feel each wedding should embrace you as a couple, of your hopes and dreams, providing memories that will last a lifetime. We want to understand your personal vision of the ideal wedding, and will strive to bring your dreams to life with flawless execution from conception to completion. Whether your vision of a beautiful wedding is beneath a bright blue sky surrounding by flowers before the sparkling waters of Grapevine Lake, or a candle lit ceremony beneath a silvery, full moon reflected in the lake’s waters, Paradise Cove will bring the dream to life as the two of you begin life’s journey together into the future. In addition to our wedding services, we offer both a full-service package reception and a lease only reception for the use of our facility for your outdoor wedding venues in Dallas. Located nearby is the Dallas Fort Worth International Airport, convenient for guests located out of town. Guest overnighting in the area will enjoy the three golf courses with the distinction of being rated among the top 50 golf courses in the nation. Other activities include numerous trails, nature walks, equestrian trails and biking trails for their enjoyment. 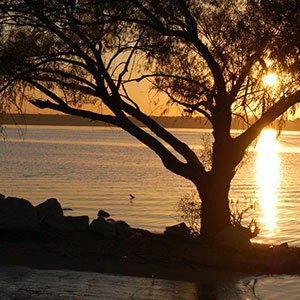 A wide array of activities are offered for your enjoyment on Grapevine Lake, including picnics amid nature, camping, boating, skiing, wind surfing, fishing and hunting. Other attractions in the area include rides on a historic train and local wineries. Guests can visit a local theatre or any of the numerous art galleries featuring a variety of talents from painting to pottery, glass blowing and more. In addition, the area offers a number of spas from resort styled spas to those located in historic homes for the connoisseur of historical architecture, and spas created just for children. Your guests can enjoy Grapevine’s attractions and relax in a spa for personalized attention and a wide variety of personal services. Contact us or visit our wedding pages for further details on Paradise Cove’s outdoor wedding venues in Dallas. Thank you for your interest in Paradise Cove. We anticipate assisting you with your custom wedding design, and a great start to your life together.